The female journalist Christine Dell'Amore of National Geographic magazine admitted that the rat meat in her mouth was "really delicious, like cheese". Even, experts say that rats in Vietnam are tough and delicious like rabbit meat. 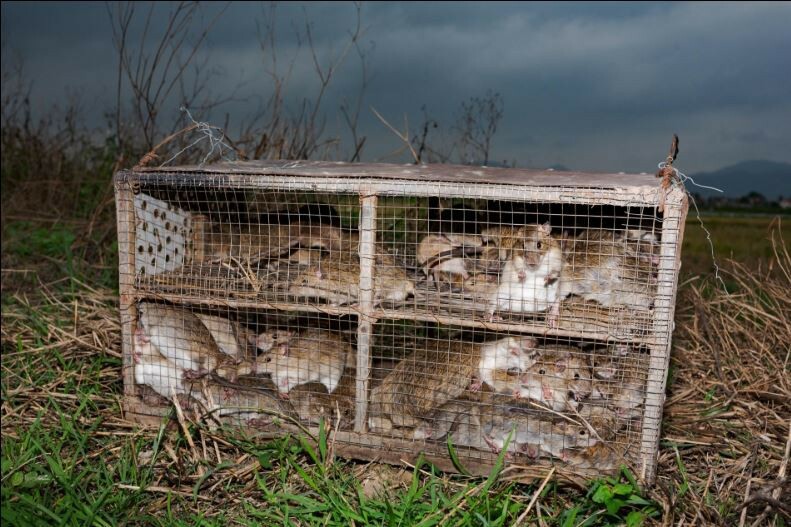 The mice were captured, dangling, whole body with blood will be a "courageous" experience if you have to enjoy them. 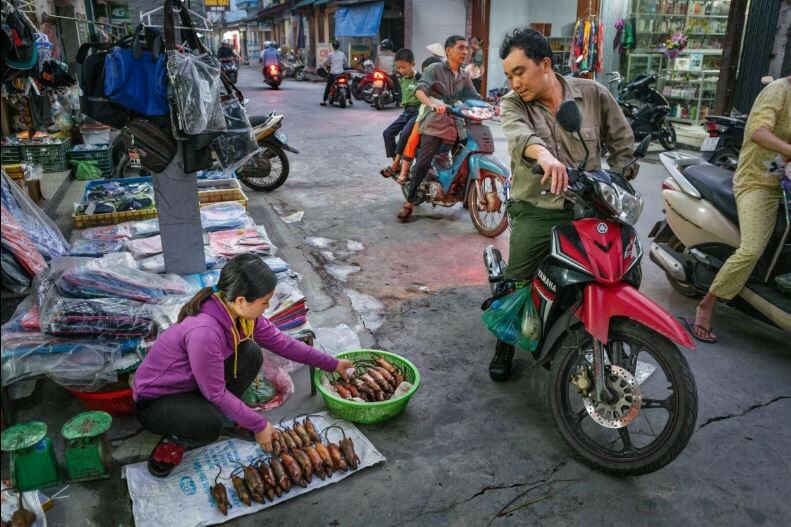 However, this is a food on New Year's Eve in a town in the Mekong border region - journalist Christine Dell'Amore of National Geographic tells about her experience of coming to Chau Doc (An Giang). To decide whether to try them or not, Christine takes two seconds. "I know that the rats here come from rural areas, not the dirty rats that often crept under the subway and apparently they look better." "The rats we were chopped and fried and placed in a basket that looked like cheese, enjoyed it really well," National Geographic magazine female journalist commented. Rat meat is a popular source of protein in Asian tropical countries, especially in rural areas of Vietnam in both the North and South. In addition to An Giang, rat meat is also a specialty dish of La Chi ethnic people in Ha Giang. 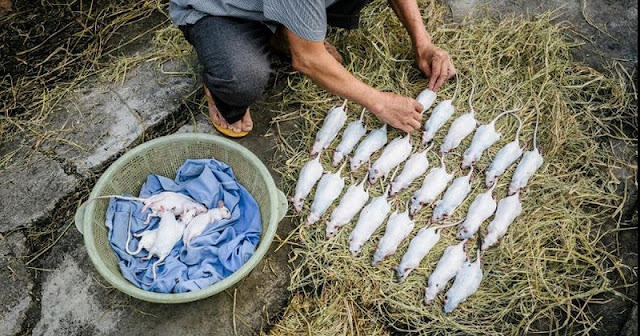 In fact, in the Mekong Delta, rodent meat is more expensive than chicken, Grant Singleton, a scientist studying ecological rodent management at the International Rice Research Institute in the Philippines, said. Up to 89 rodents can be eaten, stretching from Asia to Africa, Latin America and North America. 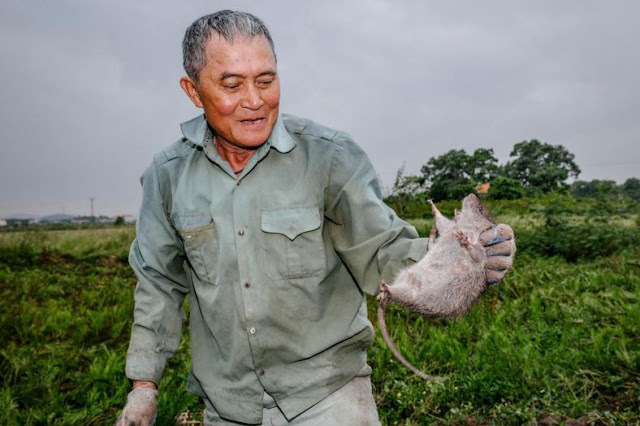 The Mekong Delta alone has 3,600 tons of live mice each year, worth about $ 2 million. "If you are surprised, it may be because you are imagining a black-backed mouse on the plate. There are actually dozens of species of rats, and the Vietnamese mostly eat two types: hamsters weighing about 200 grams and the rats pinch can be up to half a kilogram ". In Vietnam, rat hunting provides a significant source of secondary income for farmers, who trap rats live in wire or bamboo cages and sell them to collectors for small processing, then meat is sold at local markets direction. All mammalian muscle tissue contains the same basic proteins, whether it's steak from beef cattle or mouse leg meat. Where is this March for vacation?